After years of moving tons of herb by air, land and sea, my number had finally come up. A pair of identical twin brothers, in the organization, had become government informants. Their Green Beret training, Machiavellian persona's, and bonds to the intelligence community in Bangkok, had made them lethal opponents. The traitors orchestrated a plan to draw me back into the shadow world for one last mission...... after years of voluntary retirement. 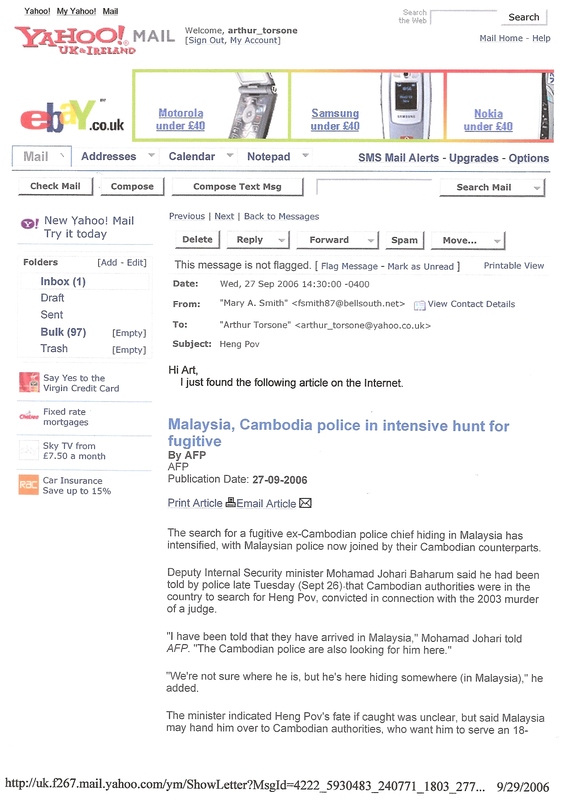 The twist is when I'm used to alter the 1998 national election in Cambodia. 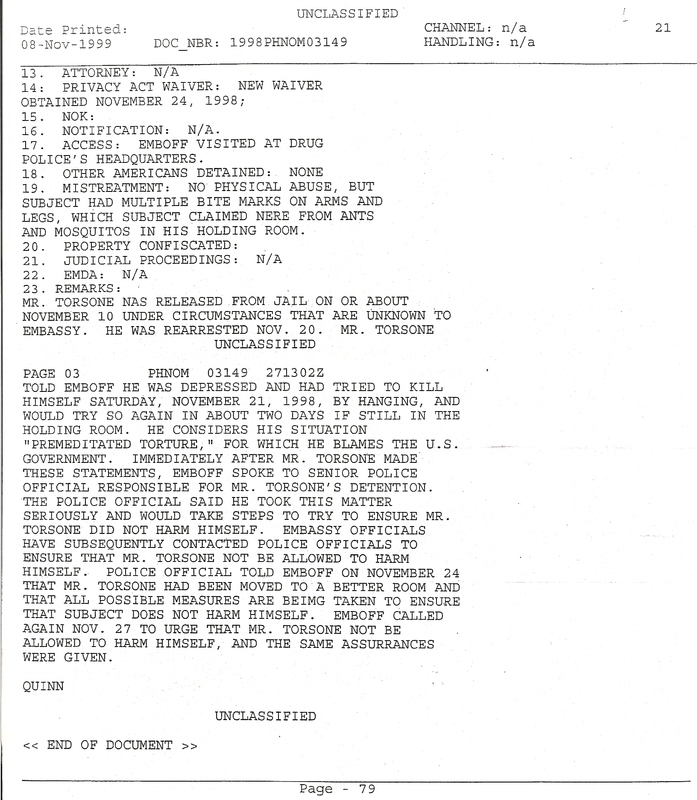 As a result, I'm kidnapped by Khmer soldiers and left to die in Asia's notorious "T3" prison in Phnom Penh. There I grew tired of eating maggots, high fevers, starvation, and managed to escape. 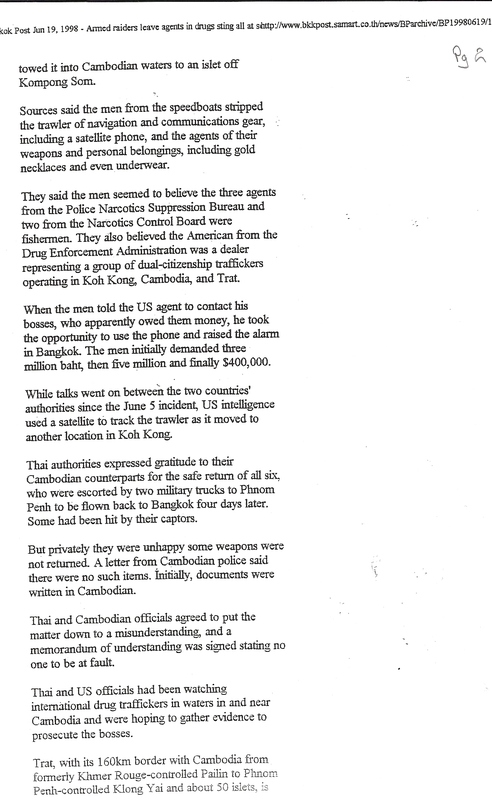 Six days later I was abducted, this time by the C.I.A, in front of the U.S embassy in Phnom Penh. From here on things took a devastating turn. My story circumnavigates the earth and brings the reader on a perilous and politically eye opening journey. It was a risky business: the rescue mission off the coast of Saipan during a tropical storm nearly turned fatal. Most difficult of all was being torn between my love for my daughters and always that last operation. 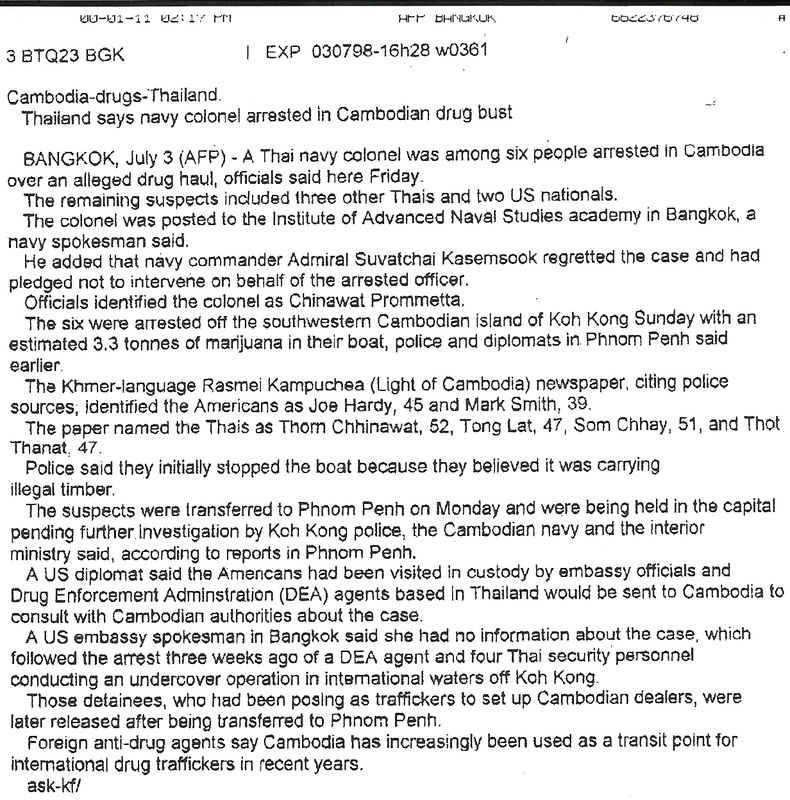 The cast of real characters includes a Khmer warlord, C.I.A operatives, D.E.A informants and agents, the U.S ambassador and personnel within the U.S embassy in Phnom Penh, Asian pirates, Thai and Khmer generals, and the powerful leader of an ancient Southeast Asian nation. In this spiritual land of ghostly stone temples, a hauntingly beautiful girl from Bangkok, Thailand had risked her life for me. Her bravery, loyalty, and unyielding love in the face of imminent danger was overwhelming. What the Khmer soldiers had done to her is permanently etched into my soul. This was Cambodia's most turbulent era since the Pol Pot regime and I was placed at the center of it. My story reveals the little-known methods used to propel our foreign policy in poor, underdeveloped countries, and the schemes that drive the invisible economy. It also exposes the dark side... those who utilize the unlimited power of our government for their own self-serving gains. I cannot forget the treacherous calamity.... the sordid chess game over the politics of contraband. I may have been wrong.....but not quite as wrong as they were. 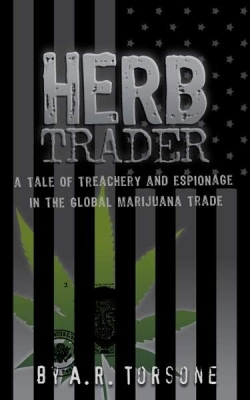 HERB TRADER is written in the powerful first person, enabling the reader to feel the adrenalin that escaping death delivers, or to feel the quite sadness after a successful mission. On the other side of the planet I found a land where I could thrive. A place far away from puritan restraints, a place where I had discovered eastern cultures and more importantly..... my need to find my way home. My advice is to wait until you have read my story, then take in the fascinating information below. This HERB TRADER, website will use the real identities of the characters. 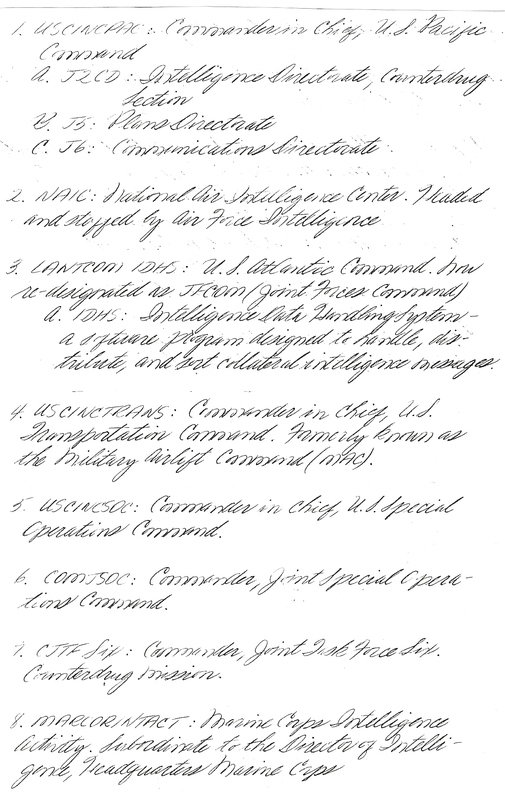 Listed here are their names and aliases that were used in the book. Mike Smith, aka, the Bird. A.R.Torsone, aka, Max, or King. Michael Forwell, aka, Michael Farell, or Fox. Sam Colflesh, aka, Sam Übel or Haig. Bob Colflesh, aka, Bob Übel, JT and Bob Kalbfleisch. Bob Welch, aka, Bob Ratner. Andrew Hill, aka, Andrew Pill, or Harley. 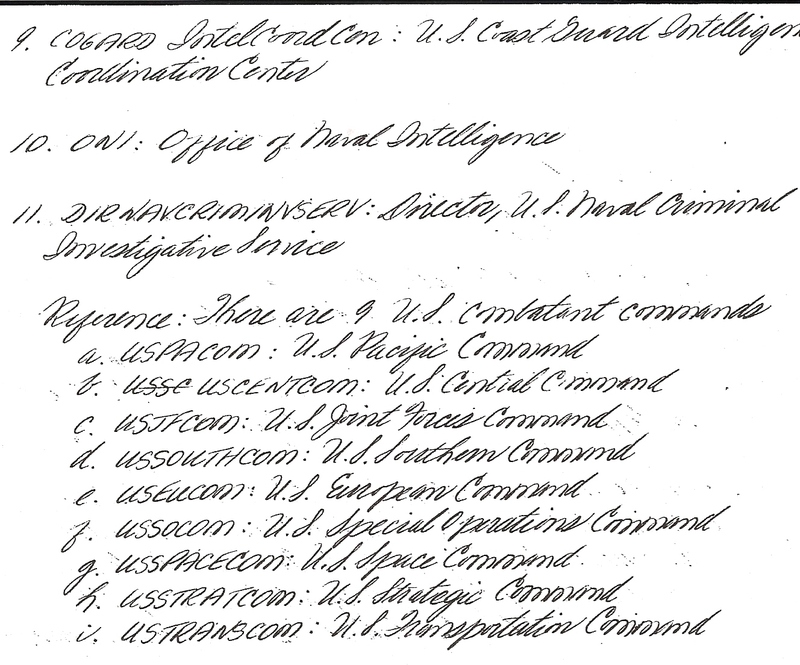 Here are acronyms and their meanings to aid in reviewing the unclassified documents. ( Click files below ). 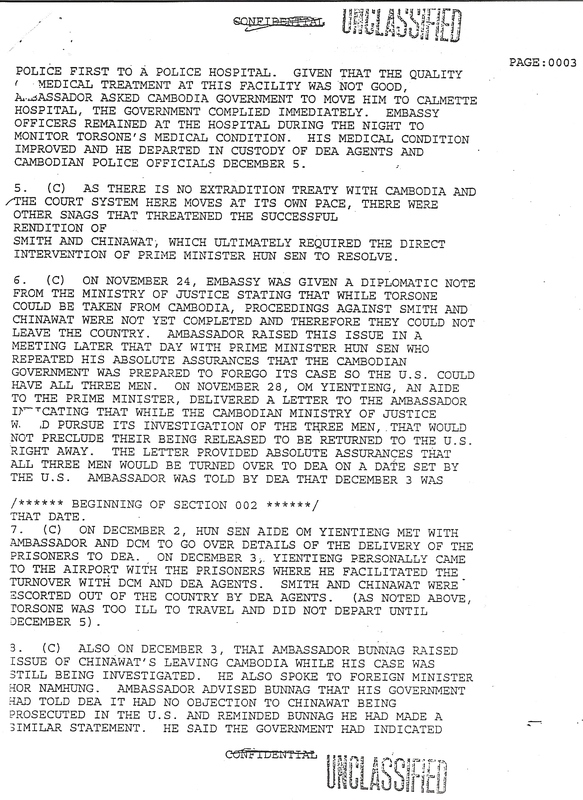 These unclassified documents show how ambassador Quinn and Prime Minister Hun Sen, dealt with our delicate political situation. 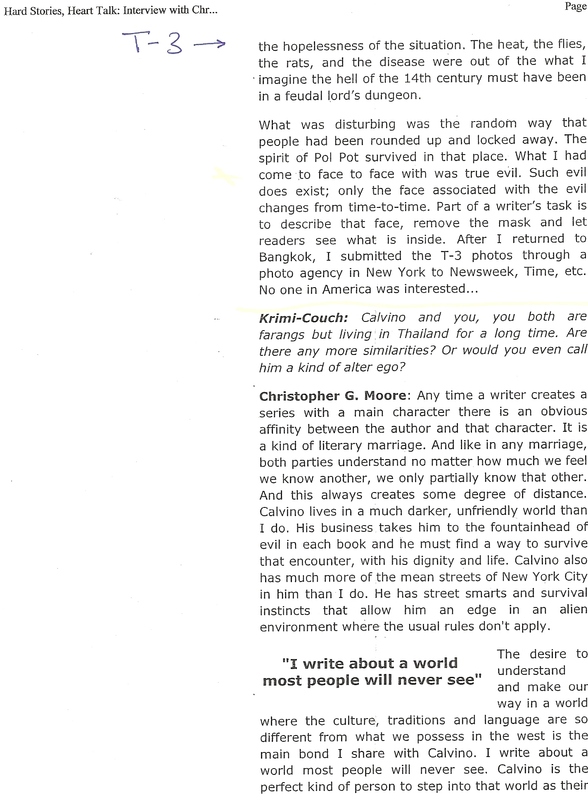 In reality, Colflesh and his undercover agents were captured in Cambodian waters. In order to alleviate a political confrontation, it was later changed to international waters. 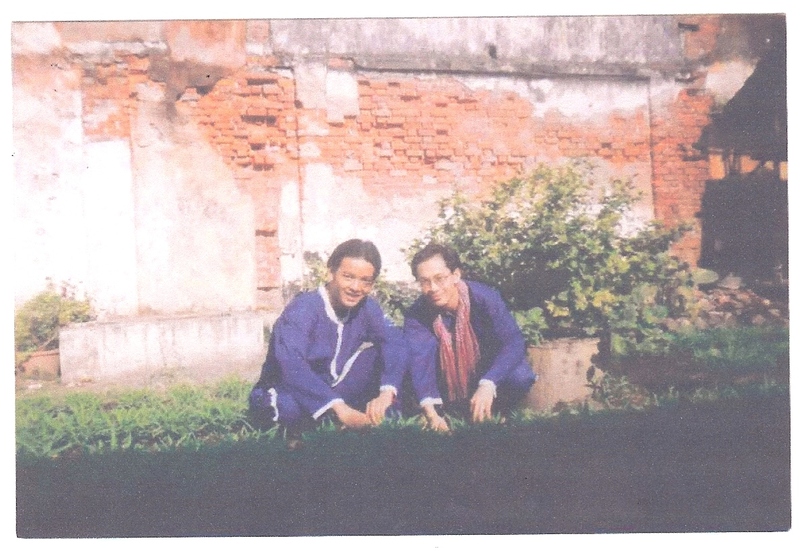 Hun Sen used Colflesh's failed mission for his own political benefit. Only Max and his team were expendable. 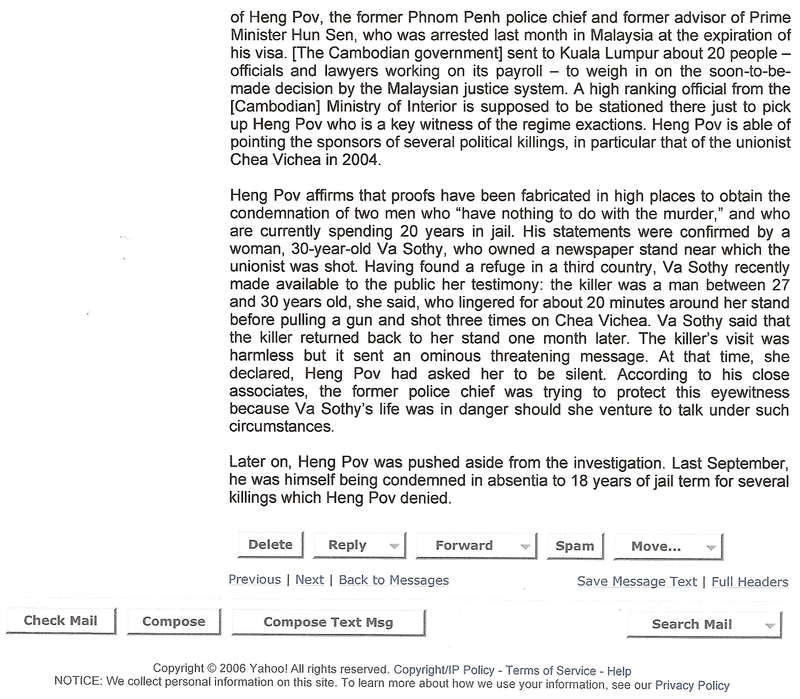 Also take note of Hing Pov's involvement, as he was the D.E.A's golden boy. 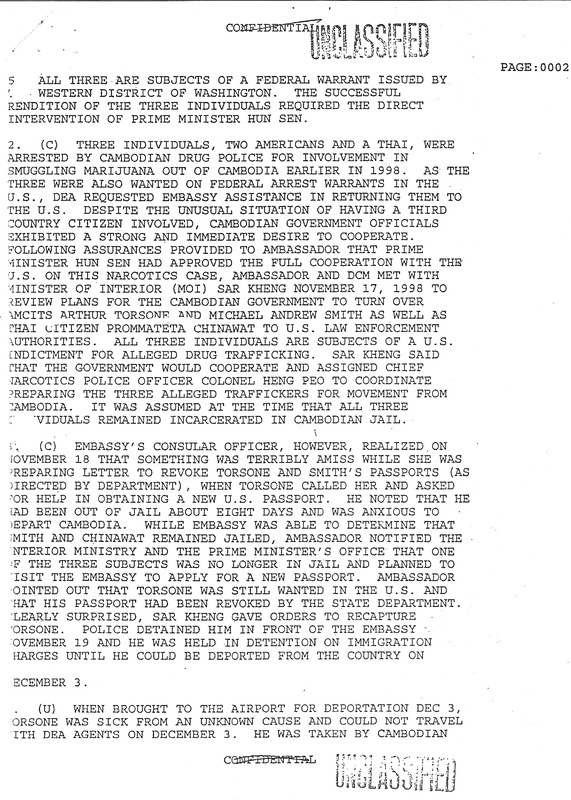 After Cambodia received foreign aid to fight the War on drugs, and U.S Attorney Katrina Pflaumer used Hing Pov's office for testimony in the Smith trial. 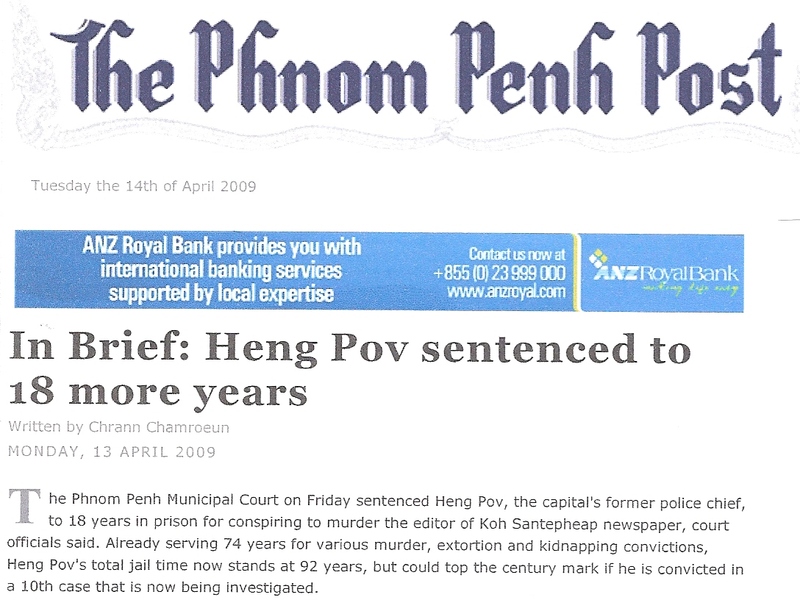 Hing Pov was arrested for murder and a list of other crimes and received 20 years. 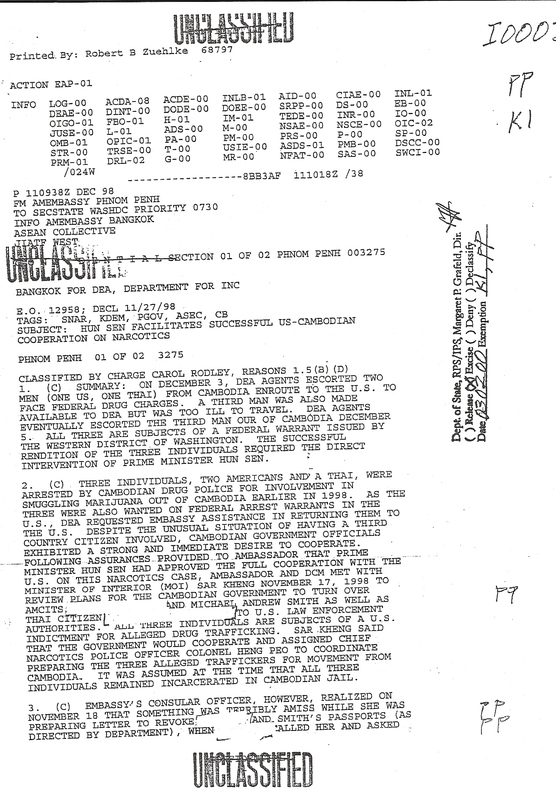 Take into consideration that the writers of these classified documents work for the government and as such, are trained to protect the U.S image. Hence, there is an element of inaccuracy. I was only able to acquire a small percentage of the unclassified documents through the Freedom of Information Act. 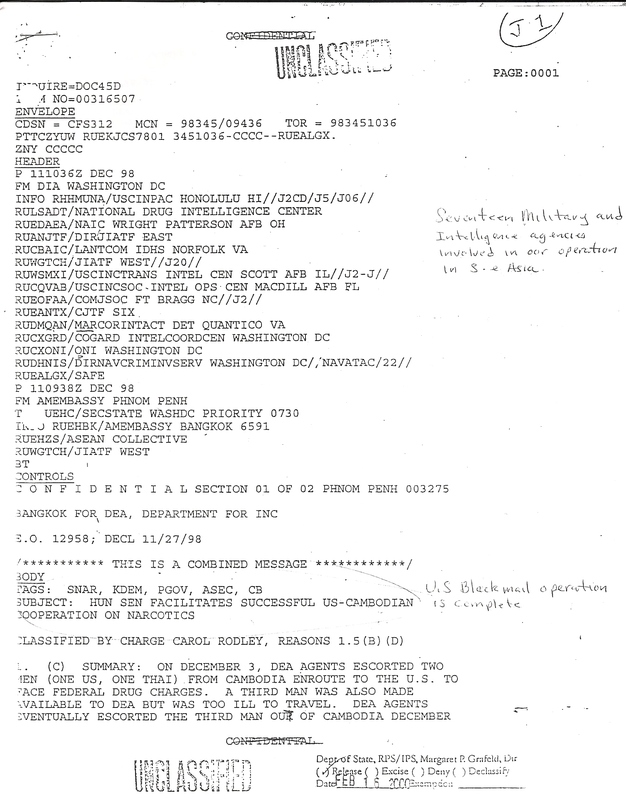 The remaining documents are still classified or secret. Below are seven documents that can be reviewed by clicking on the files. Photo of Max before T3 Prison and after. General Hing Pov worked with the D.E.A and C.I.A. After Max was kidnapped by the C.I.A in front of the U.S embassy, he was held illegally in Hing Pov's 4'x8' concrete hot box. When Max refused to pay Hing Pov in a shakedown, he cut off Max's connection with the outside world as well as his food supply. Between November 18, 1998 - December 2, 1998, Max did not receive any food or medicine while being held in Hing Pov's rat and insect infested interrogation center in Phnom Penh. This violated a promise that Max was given by the U.S Embassy, that he would be cared for in a humane manner, while in Hing Pov's custody. Nailed above the small rusty door that lead into the concrete hot box that contained Max was a notice. 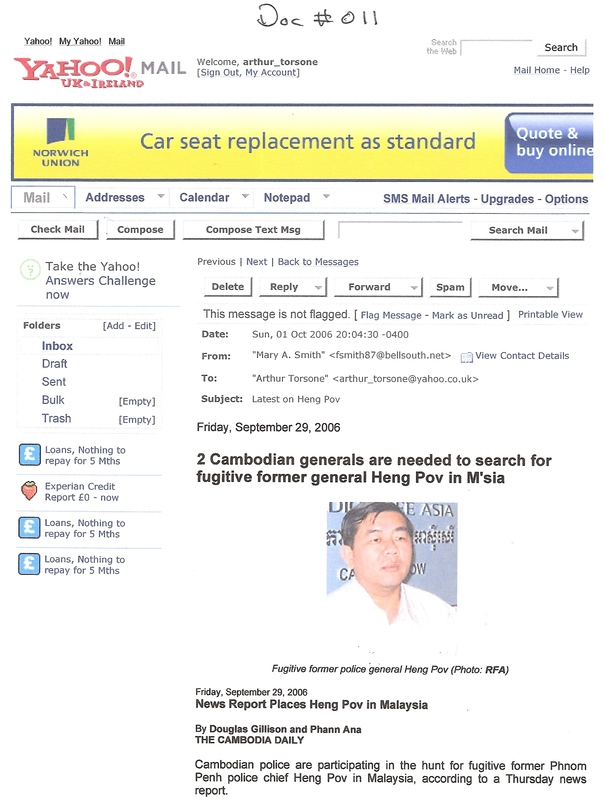 On it was written in both Khmer and English " This man has committed no crime in Cambodia, he is not under arrest, he is held here on behalf of the U.S.government." 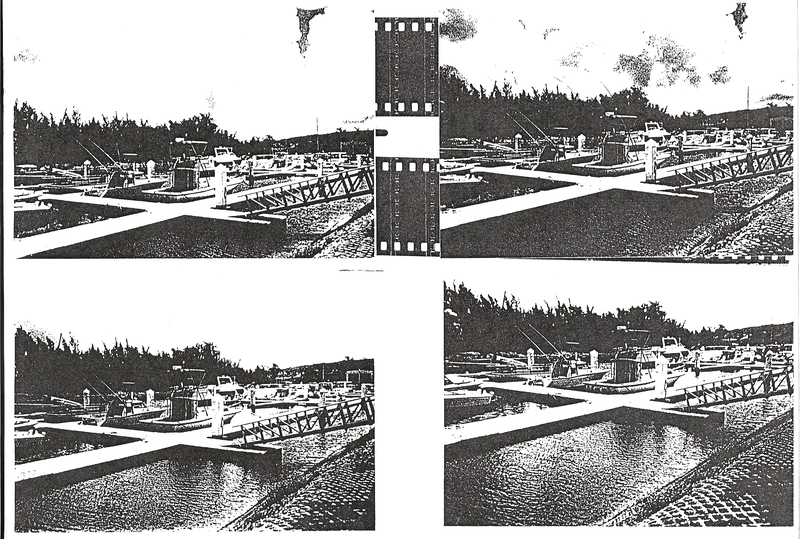 Below are the specifications and history of the Encounter Bay. 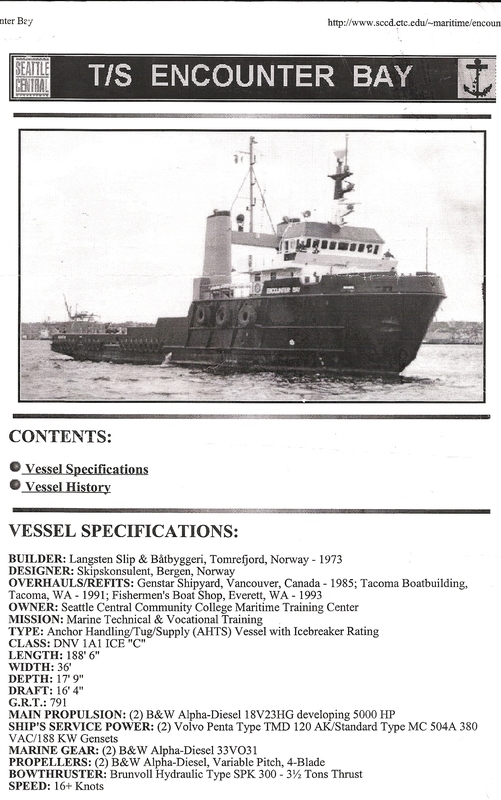 Read the new book HERB TRADER and see how this ship was utilized. 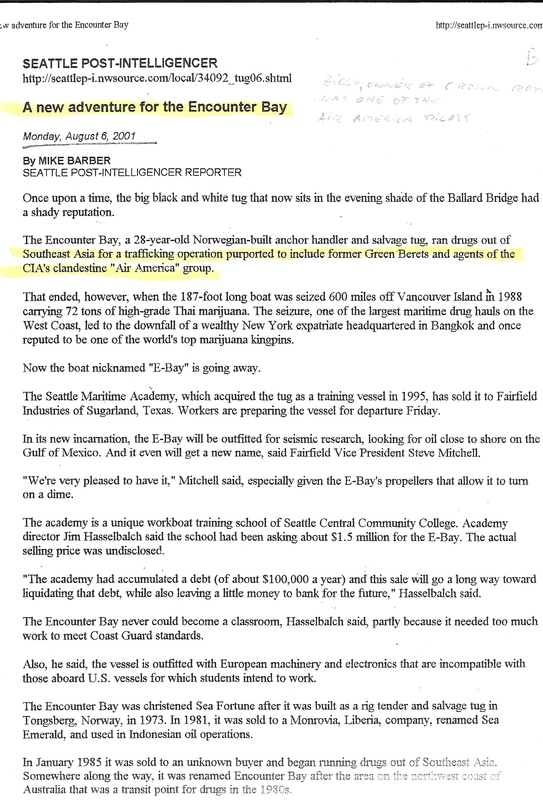 More Press about the Encounter Bay and C.I.A involvement. Sam Colflesh was the Captain of this super ship that was built for covert business. 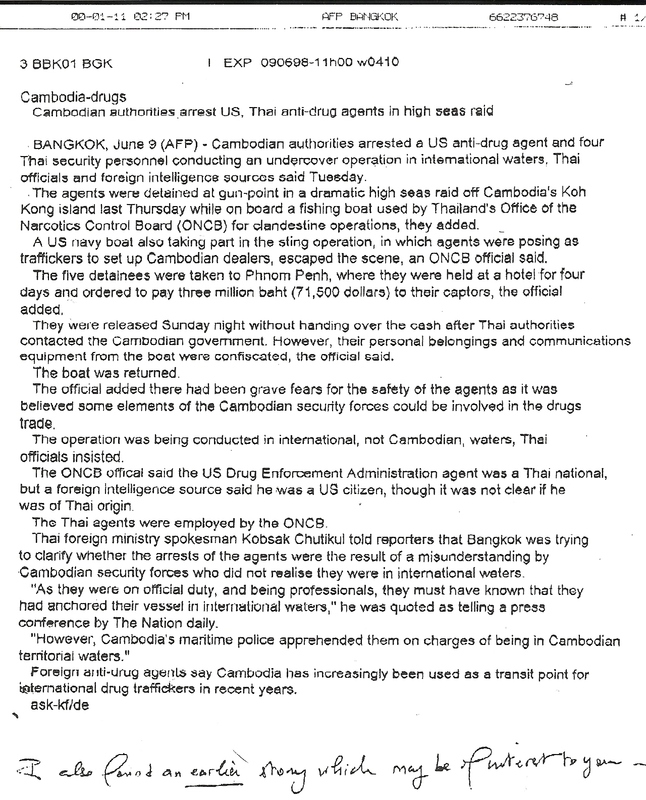 Here is Bangkok post article that covered the arrest of informant Bob Colflesh and his undercover agents in "Cambodian waters," (this was changed to international waters, in order to prevent an international incident.) This was the turning point when General Hing Pov and C.P.P troops were caught trying to collect a ransom from Colflesh, and were also caught working in Max's mission to move the load out of Koh Kong. 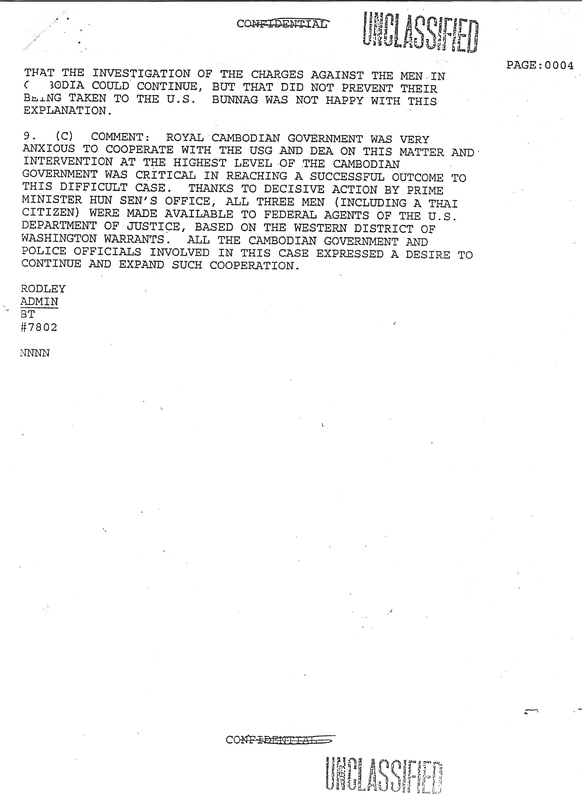 This was deal making time, the U.S agreed not to expose the C.P.P's involvement only weeks before the national election. 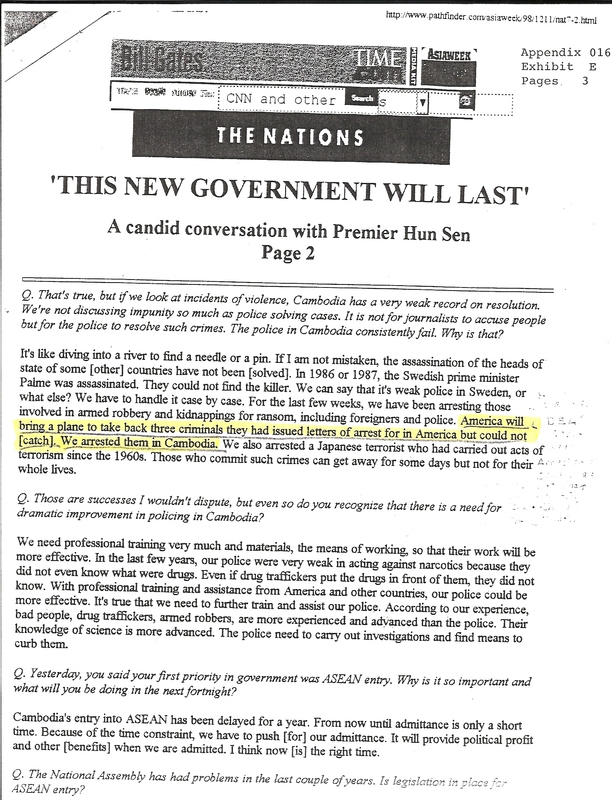 The plan to discredit Hun Sen was now replaced by a U.S effort to work together with Hun Sen. This was important for the new leader's image on the world stage. Only weeks before, the U.S wanted him brought to justice for drug trafficking and war crimes. Now, he would be a player in the war against drugs...a profitable political position. 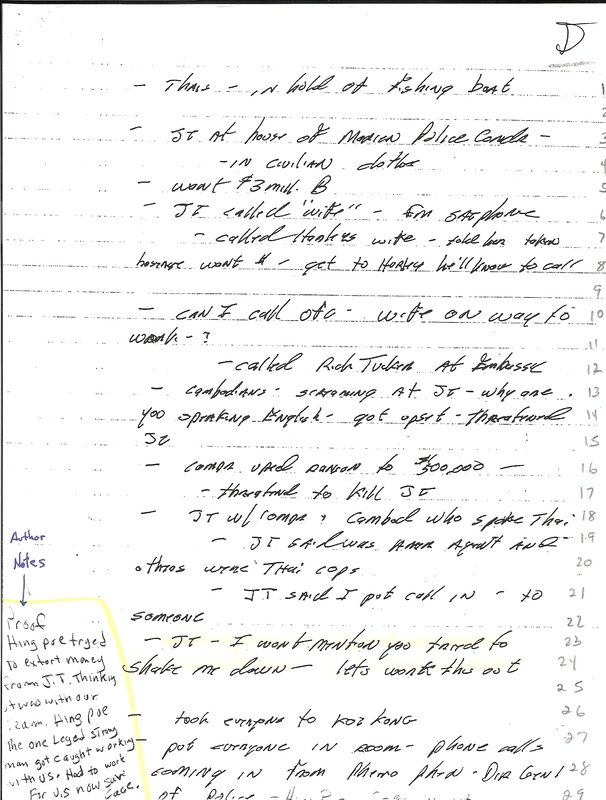 Agent Dyer's field notes that show Bob Colflesh is frantic after he is arrested in Cambodian waters. 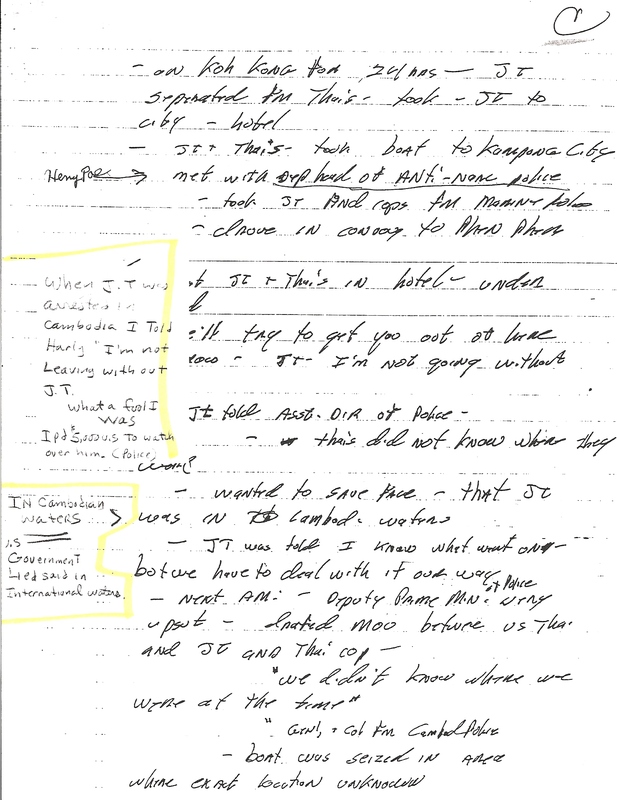 See where Colflesh tries to explain to his captors that " We can work this out and save face, not say anything about the shake down." Max and his team captured in Koh Kong Cambodia. 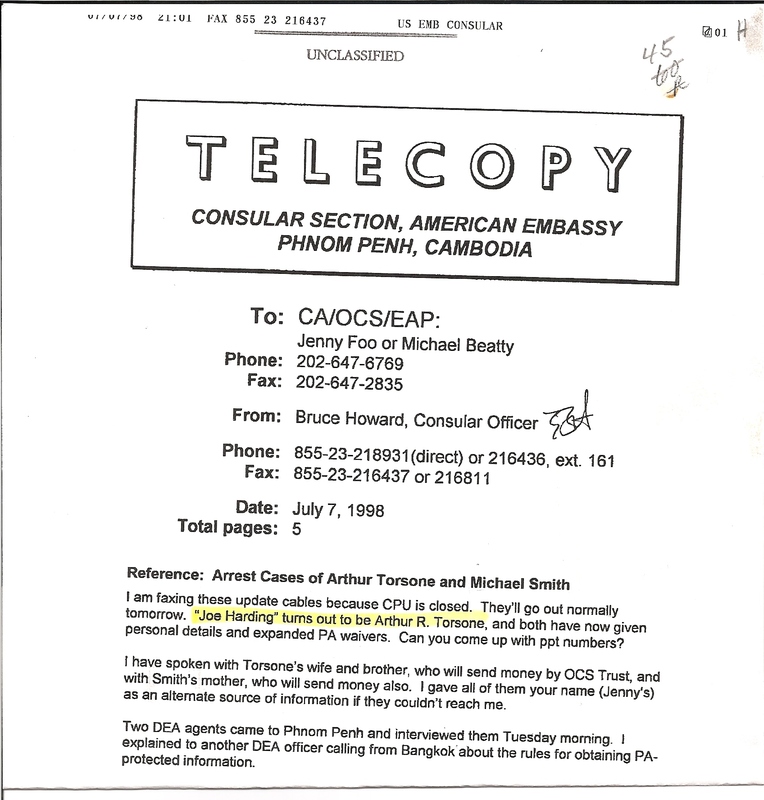 U.S embassy report shows " Joe Harding is Arthur Torsone"
After the June 5th Colflesh arrest and subsequent political new deal for Hun Sen, he is reported in this CNN interview. He is willing to release Max, Smith, and Captain Chin, to America, an opportunity to bolster his new image. It was not reported that Hing Pov, offered Max an opportunity to pay and stay. This photo was taken on the island of Saipan, in the South Pacific. This is where the rescue mission to save the cargo and crew of the Oktedy, in a tropical storm, was launched from. It shows the docks and a stern view of the 28' sport fishing boat " BLANK CHECK." Max and his team had to load six, four hundred pound fuel drums onto the boat, right under the watchful eye of the security guard. Max and the crew practiced the operation so there would not be enough time for the guard to call for back-up. They left this dock to rescue the vessel during the storm. 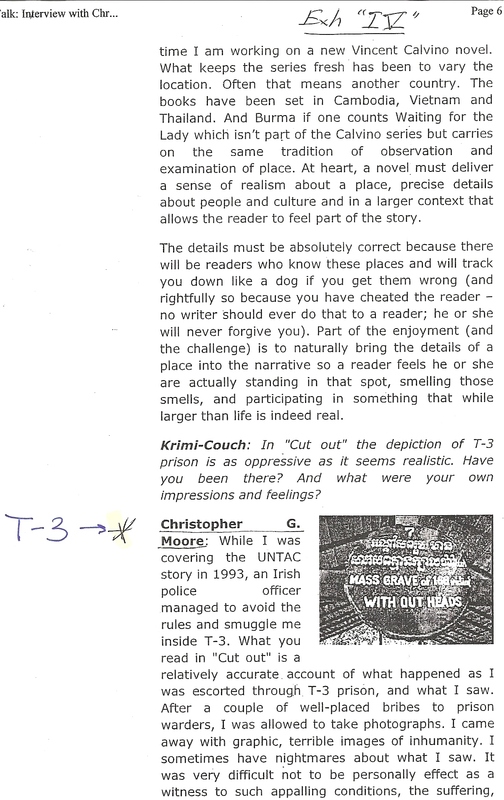 Bangkok based author reports on his eye witness account of T3 prison. 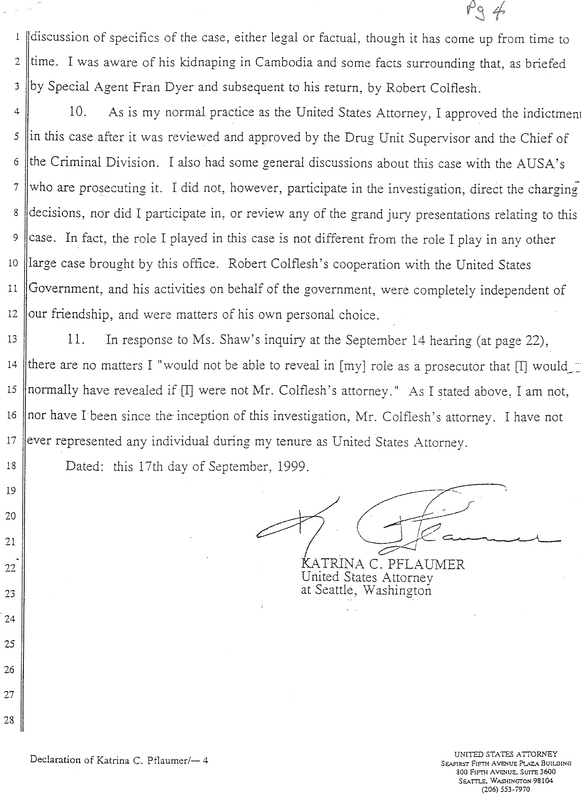 U.S Attorney Katrina Pflaumer knew that informant Bob Colflesh was arrested in 1988 in one of the largest drug seizures in U.S history. She also knew it was wrong to have a relationship with the star witness in a criminal case where drug informant Colflesh would testify. She even tried to convince Colflesh to forgo his scheme to create a reverse sting operation to arrest his old friend Arthur Torsone. I believe Pflaumer was not aware of the ulterior motives Colflesh had when he lured her into the circle of government personnel and agencies that was necessary to pull off this scheme. When Judge Zilly discovered during the Smith trial this outrageous relationship, he demanded a declaration from her. Below is her sugar coated version of the truth. Click below to review the U.S Attorney Pflaumer document. 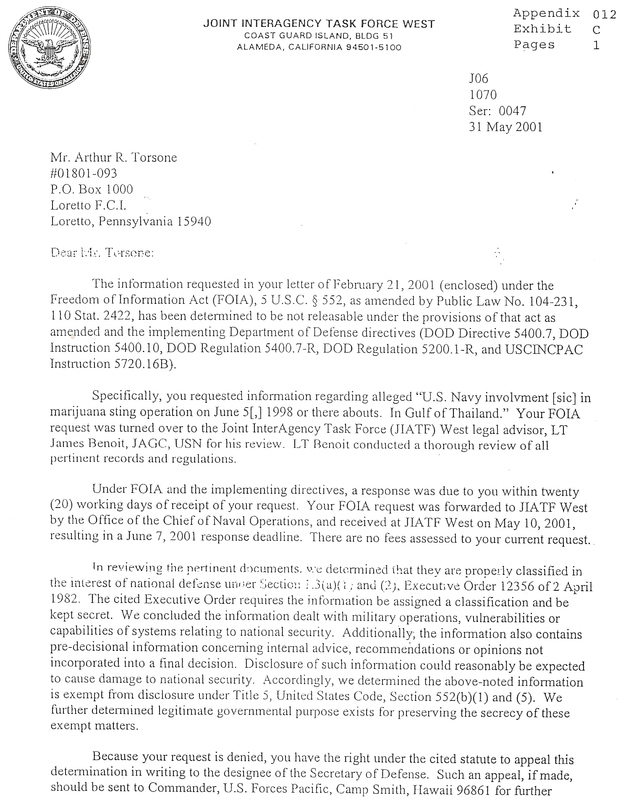 Through the Freedom of Information Act, proof of the U.S Navy's involvement was found. However, the Department of Defense classified the operation "Secret" and only through an executive order could the details of this covert operation be released. 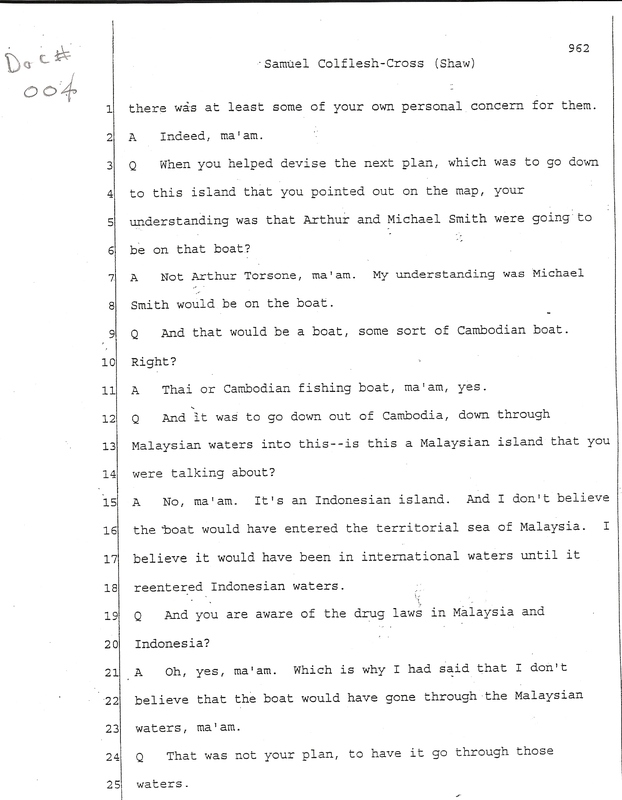 Informants Sam Colflesh, Bob Colflesh, and Andrew Hill, had insisted that defendants Arthur Torsone, and Mike Smith, take the loaded Thai fishing boat from the Cambodian coast, and travel along the Malaysian coastline to the Honesburg light in Singapore. Although Max and the Bird strongly opposed this decision, their pleas were denied. The penalty for Marijuana possession in Malaysia was beheading, in Singapore it was hanging. 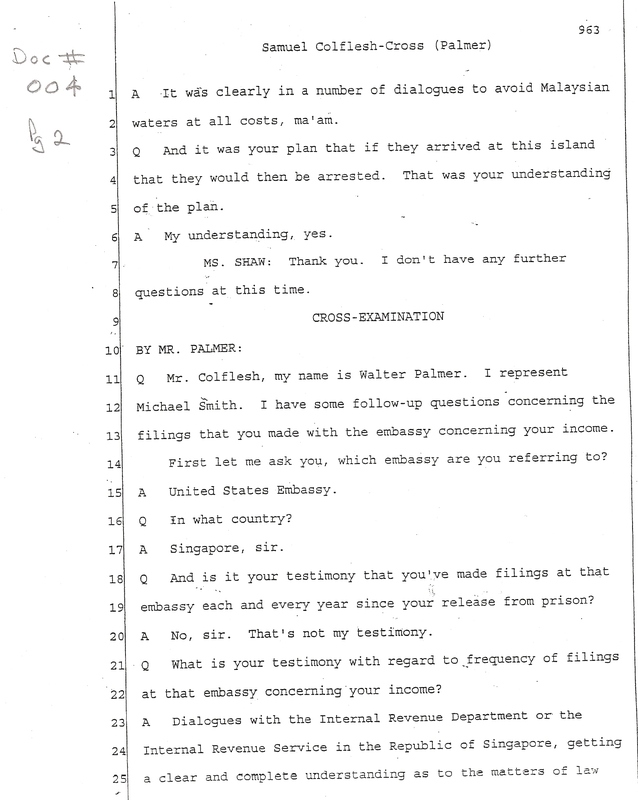 Sam Colflesh lied on the witness stand, he claimed he tried to keep Smith away from the Malaysian coastline, below are court transcripts and field notes that prove otherwise. A press report about T3 prison. In it's 200 year old history, Max and the Bird were the only Americans to ever be held behind it's draconian walls. 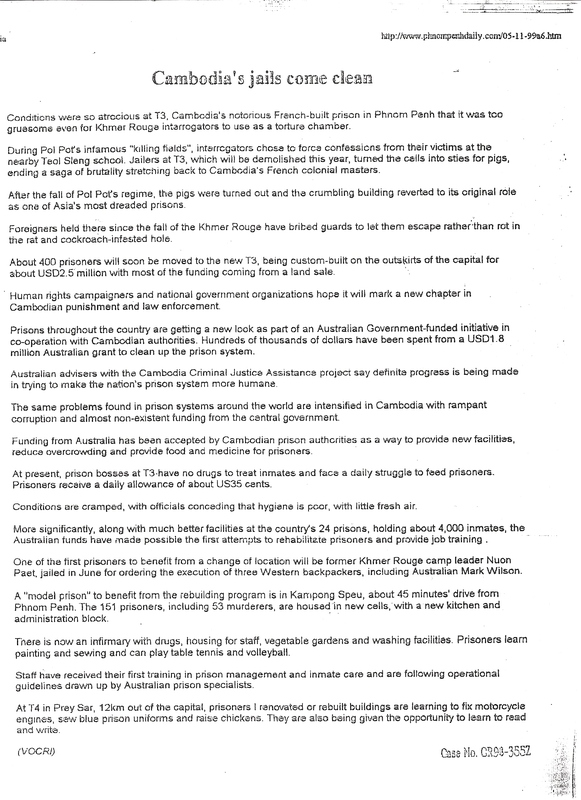 The prison was destroyed soon after Max and the Bird were airlifted out of Phnon Penh. 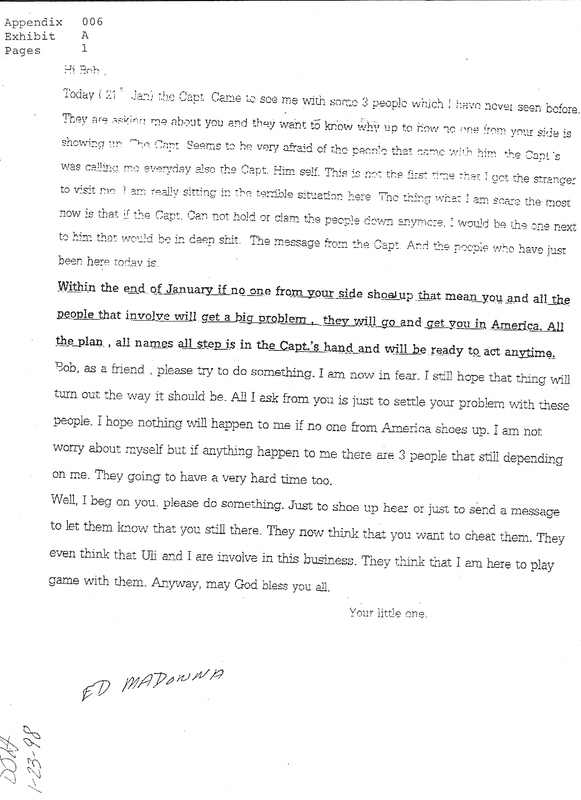 Below is the letter that Little Minh had sent to informant Bob Welch, pleading for help. 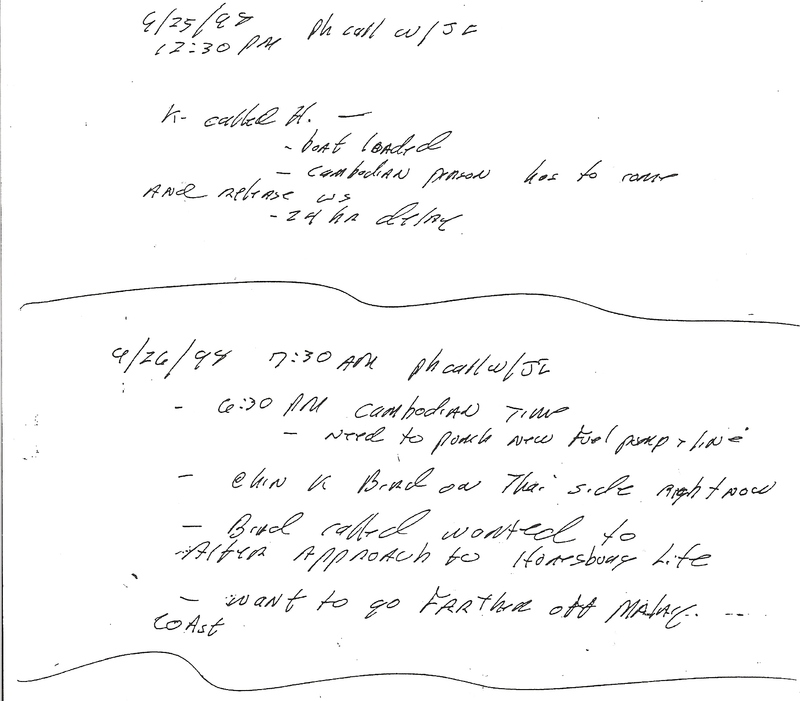 This document shows the lethal danger that he had placed her in. Welch stole over $200,000 from his partners Max and his team. This placed Little Minh and Max in a deadly situation with the Khmers. 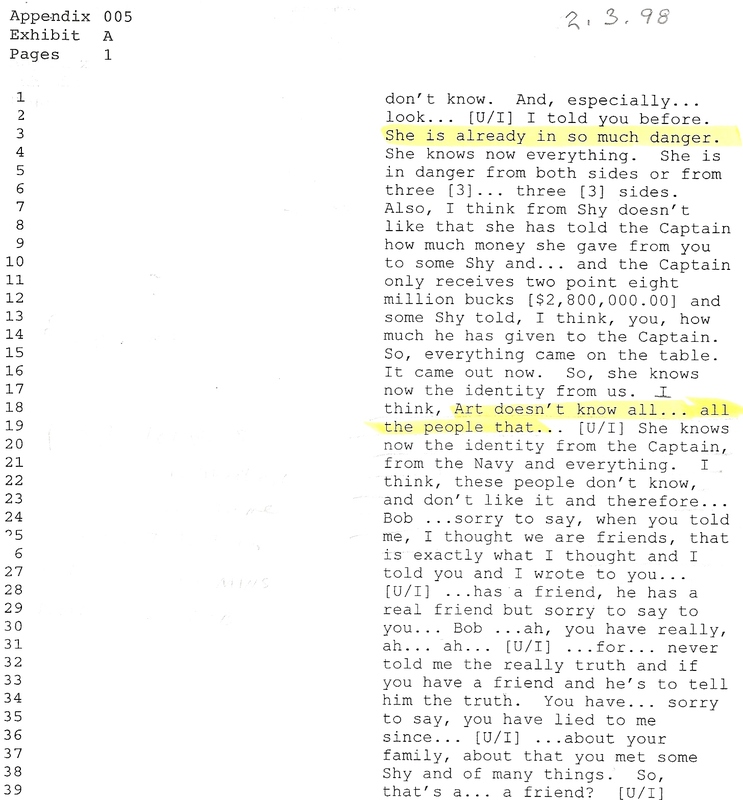 Bob Welch, from Cape Cod, MA , was one of four informants that D.E.A Agent Ed Madona oversaw. 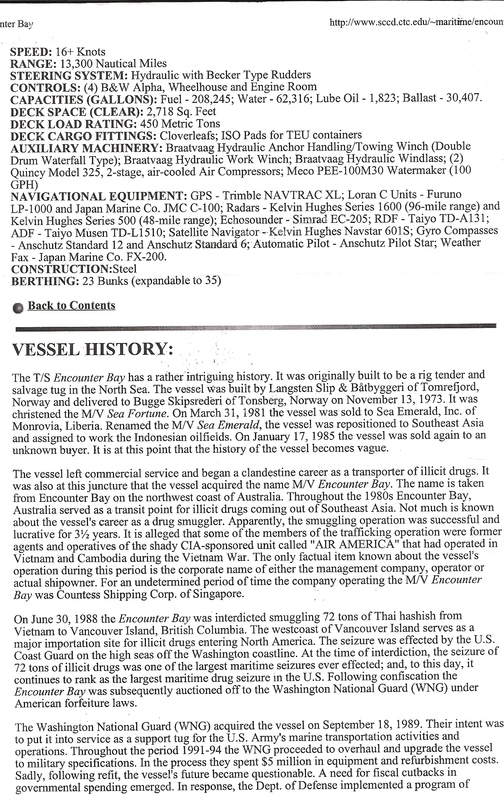 This is only one of several pieces of evidance that show the danger informant Bob Welch had placed Minh and Max in by not paying cash for the cargo, as he was instructed to. 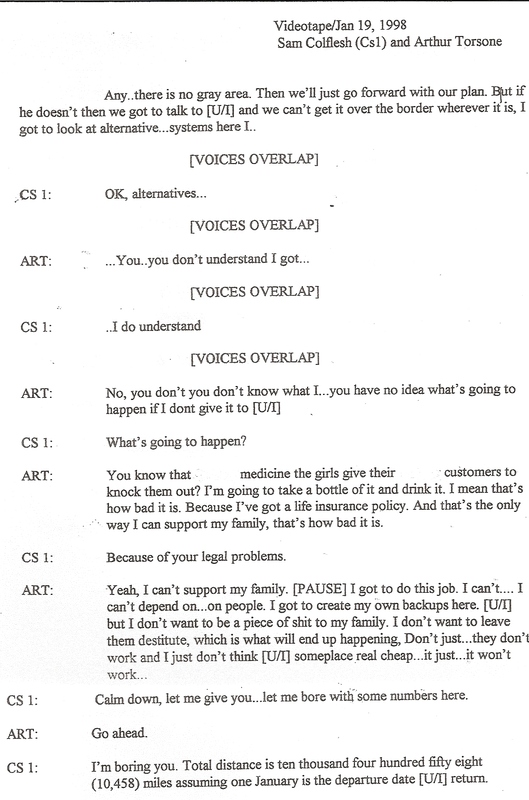 This recorded transcript between Minh's husband Uli, and Welch, shows how upset he is over Welch's actions. Uli explains to Welch that the Captain now knows the truth about how he only received 2.8 mil Baht (Thai currancy). Out of the 6.8 mil Baht. Welch, Som Chi and Antanokas stole the differance from Max and his partners and used it for a bank fraud scheme that ultimately failed. 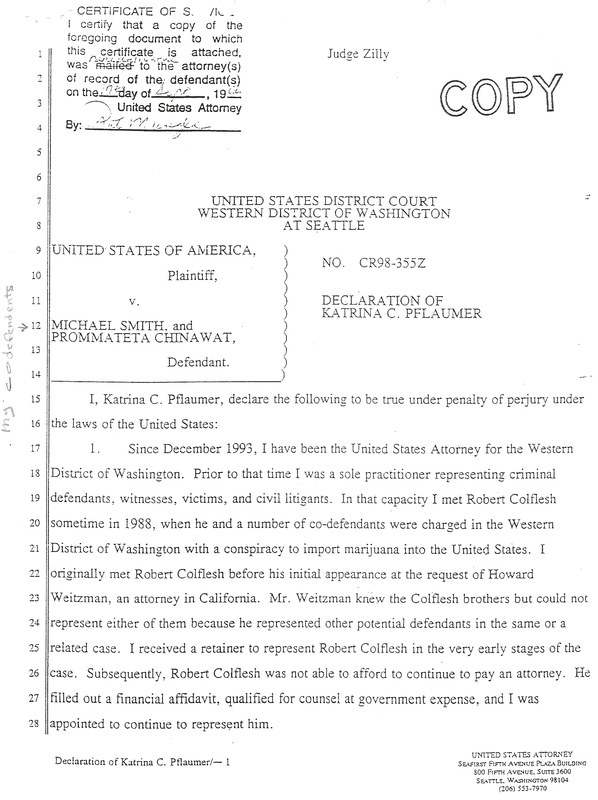 D.E.A agent Ed Madona was aware of Welch's actions and still made him an informant. 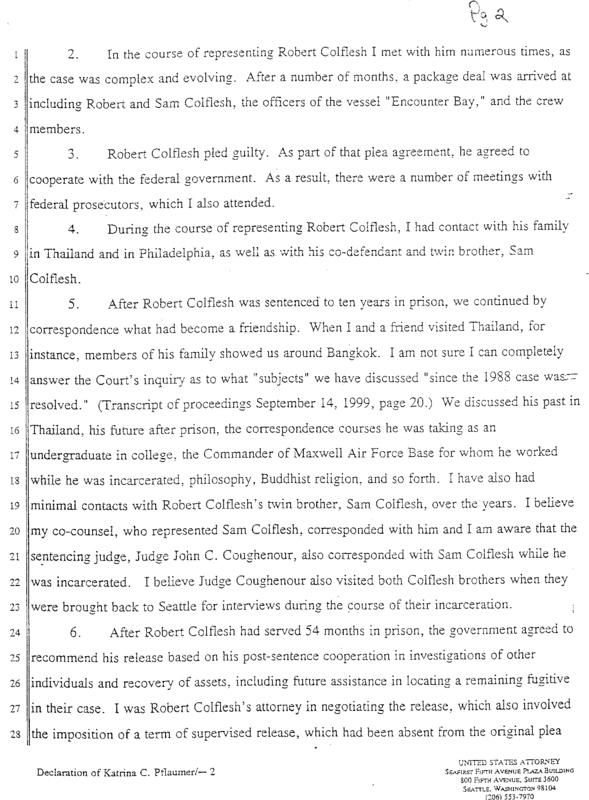 Below is a recorded transcript of informant Sam Colflesh and defendant Arthur Torsone. It was wrong for U.S.G. 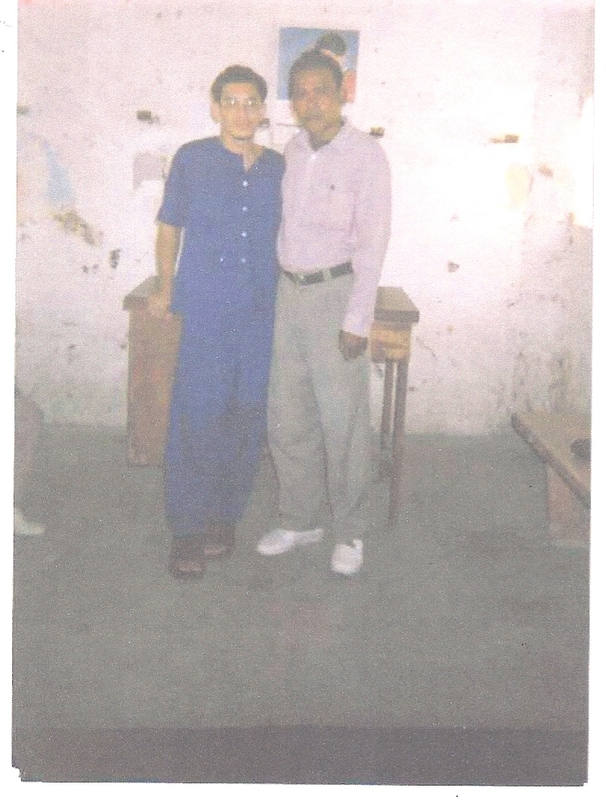 agents to send Torsone into Cambodia, on a mission of this magnitude, in the state of mind that he was in. 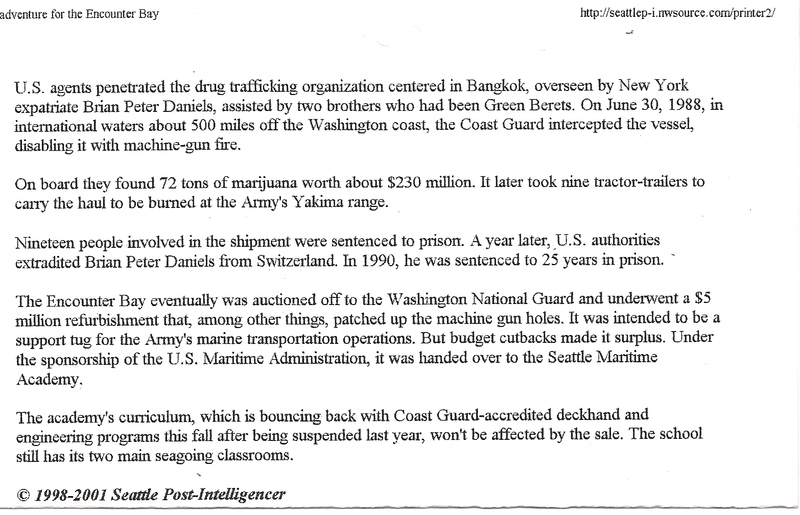 Max and his team could have been arrested in America for conspiracy to smuggle marijuana.... they didn't have to be sent to Southeast Asia. That plan was developed by informant Sam Colflesh. By creating a sting operation that pulled the targets into Singapore, he was able to eliminate his pre-existing legal problems there. It was U.S taxpayer money that funded the reversal of his legal problems that would have otherwise cost him hundreds of thousands of dollars to rectify. In Thailand, Bob Colflesh, through his new found position of power, was able to strenghten his business and political contacts, ultimately reverse his loser reputation. This is just another "war on drugs" spin-off that created more severe crimes in order to make arrests for lesser crimes. This was crime promotion not crime prevention. During the cultural revolution in China, it was neighbor against neighbor, brother against brother, or the Joseph Stalin era in Russia, or the Pol Pot regime in Cambodia, these dark times in history all share a common denomanator.... a corrupt informant system. 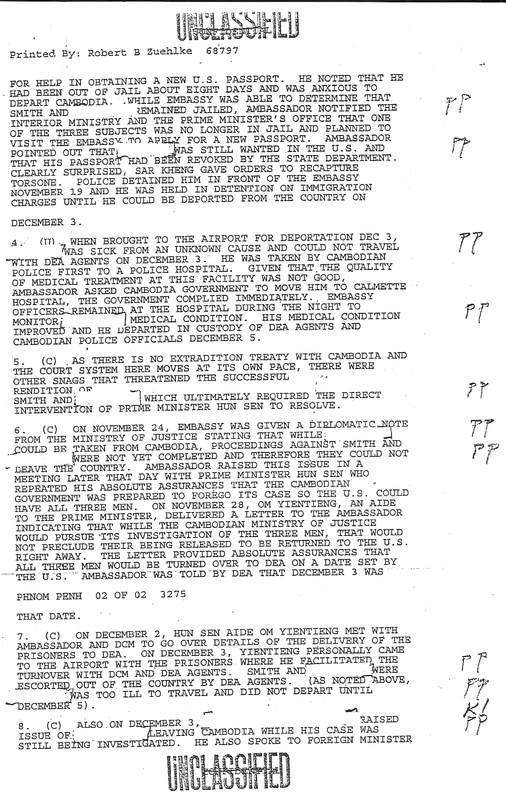 Why was it so important for the U.S.G to return Max to Southeast Asia? To supply him with new ID, cash, and operational plan. 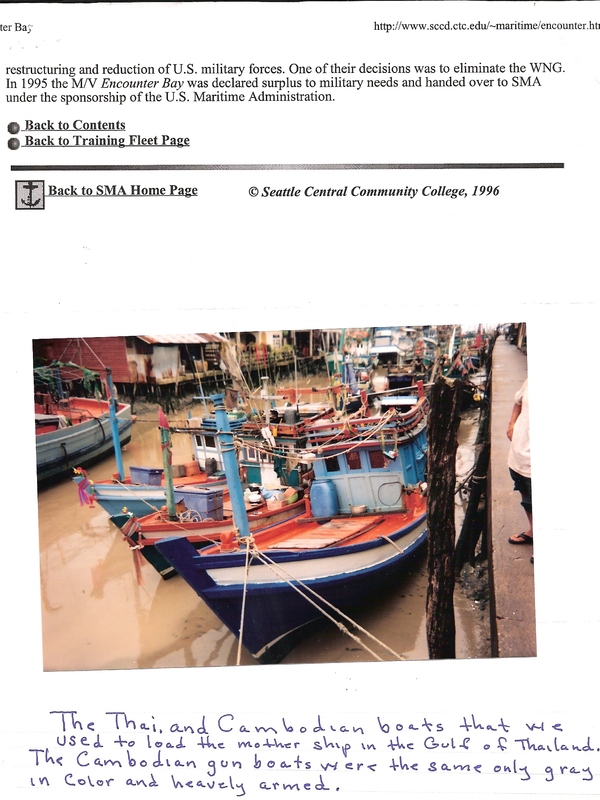 Max was assured that he had an experienced team behind him that were equiped with an ocean worthy vessel, offload site, and crew, plus security and support on the ground in Thailand...Why, when they could have arrested Max and his team in America, and extradited the rest out of Thailand, avoiding the whole criminal enterprise. Copyright © 2019 Woodstock Mountain Press. Website Designed using RJ Website Builder brought to you by E-Moxie Data Solutions, Inc.